Documentary about the sinking of the Britannic during the First World War, examining how she ultimately came to suffer the same fate as her sister ship, the Titanic. The Titanic sank in April 1912, and her sister ship, the Britannic, ultimately suffered the fate, sinking in 1916 due to an explosion caused by an underwater mine. In the wake of the Titanic disaster, Britannic was re-engineered to be even stronger. And yet she sank in just 55 minutes - three times faster than Titanic. It's one of Britain's greatest untold disaster stories. 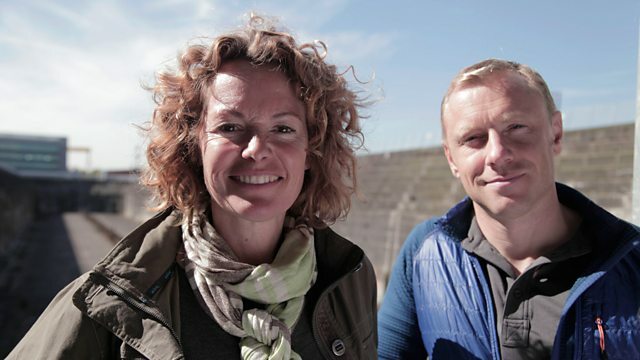 Now on the 100th anniversary, presenters Kate Humble and Andy Torbet piece together exactly what happened in those 55 minutes. While Andy makes a dangerous dive to the wreck, Kate speaks to descendants of the survivors. The characters she uncovers include Violet 'Miss Unsinkable' Jessops, who survived both Titanic and Britannic, Captain 'Iceberg Charlie' Bartlett and lookout Archie Jewell, who miraculously survived while those around him died.